The United Kingdom has pledged to invest $3.56 million in anti-piracy capacity building efforts in East Africa. The funds are primarily marked for the United Nations Office on Drugs and Crime (UNODC). The Office has set up a Post Trial Transfer Program which aims to set up prisons in Somalia to hold pirates after their conviction. The prison will be located in the Puntland region, a former pirate hotspot turned bastion of counter-piracy within Somalia. While the international naval coalitions have done a fantastic job in reducing the number of pirate incidents — the number of reported pirate attacks near Somalia last year dropped 80 percent from the year before — the battle in the Indian Ocean is far from over. Many have acknowledged that the permanent solution to the problem of piracy isn’t in the sea, but on land. With this investment, Britain is making a similar statement. The only true way to end piracy is to help rebuild Somalia from a failed state into one that can police its own waters and provide legitimate economic options for its citizens’ income. One problem encountered in the fight against piracy has been that of jurisdiction. Because various countries capture the pirates, or because they attack a vessel of a specific nationality, many pirates have found themselves technically facing imprisonment in European jails. 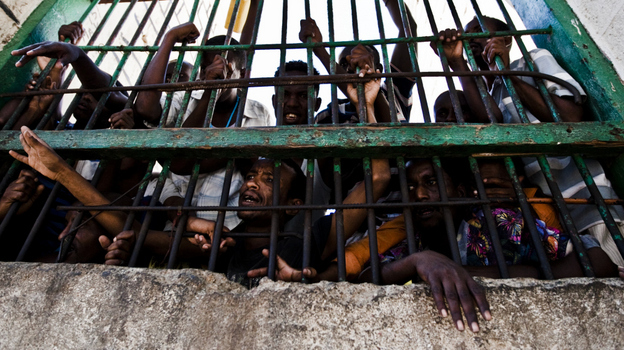 As crazy as it may sound, a Scandinavian jail is somewhat of a luxury to a Somali pirate, many of which have expressed joy at the possibility of spending years in a cell far more comfortable than their former life. The effort to transfer these prisoners back to Somalia is intended to be a deterrent against piracy. The Seychelles has so far been a leading nation willing to take in Somali prisoners, but the tiny island nation’s prisons can only hold so many. Already, pirates jailed in the Seychelles, as well as Kenya, are being sent back to Somalia to serve the remainder of their sentences. The UNODC program has been going for four years, and has provided support for Kenya, Seychelles, Mauritius, Tanzania and the Maldives, all of whom have to deal with the overflow of Somali pirates in their jails. As the program makes progress in assisting Somalia herself with updating her justice system and making sure all jails would not cause any humanitarian issues.